Sometimes, the research catches up with what mothers already know. "Everything the world has learned about education shows that the quality of the teacher is the most important factor in a student's success." -The Toronto Star, reporting on a speech given by Malcolm Gladwell, author of the bestselling Blink and The Tipping Point. 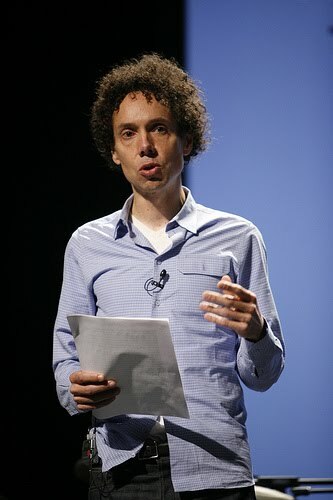 Gladwell was speaking to Ontario's Liberals at a fundraiser in Collingwood, Ont. The quality of the teacher is the most important factor. And I'm going to add, "equally important is whether or not the parents play an active role in supporting the child's education," but I think Gladwell's talking about an "all-things-being-equal" scenario here. So what he's saying - and what the research says - is that if a kid has a lousy teacher, he's likely not going to do well that year. And if he has a lousy teacher three years in a row, he "will fall three years behind a child lucky enough to have a good teacher three years in a row," Gladwell said. Gladwell says it's much more important than classroom size, and that "even if you were to cut every class in Ontario in half, you'd (only) improve the performance of Ontario's schoolchildren by about five percentile points." So back to the parents. I don't know about your school, but this is the time at our school when we can let our principal and our current teacher know what our child needs. We are encouraged to write a letter outlining our child's strengths and weaknesses, and what kind of teacher we think could best help our child. So for instance if your child is having trouble reading, you could let the principal know that reading instruction would be a priority for you next year. Or if your kid's a really good reader, you could ask for "learning extensions" in reading so he's challenged. No teacher is good at everything. And getting a good teacher who is proficient in the areas in which your child needs help is really important to a successful year. So talking to the principal about what your child needs is a good idea. It's something parents can do to advocate for their child, and I don't think we should be shy about doing it. After all, teachers and principals can't be expected to read our minds. And as long as we're respectful and talk about the teaching qualities our child needs, then I think it's a good thing to do. Here's a link to the Toronto Star article. And here's a link to Malcolm Gladwell's website.